This painting of colorful outdoor view is a picturesque work, the vision of a relaxed spectator who enjoys the charm of his surrounding without any moral concern. 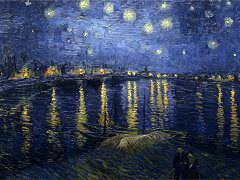 It recalls Van Gogh's mood when he wrote that "the night is more alive and more richly colored than the day." 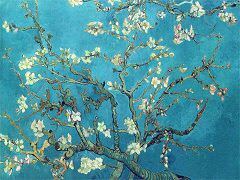 The color is more profuse and the eye wanders along the steeped or dove-tailed edges of neighboring areas - irregular shapes fitted to each other like a jigsaw puzzle design. To divide this space for long into large object and background themes is difficult for the eyes; the distant and nearer parts are alike distinct. The yellow of the cafe plays against the blue-black of the remote street and the violet-blue of the foreground door, and, by a paradox of composition that helps to unify the work, at the strongest point of contrast the awning's blunt corner nearest to us touches the remote blue sky. Foreshortened lines that thrust into depth, like the lintel of the door, are strictly parallel to lines like the slope of the yellow awning and the roof of the house above, which lie in planes perpendicular to the first. For this roving, unengaged vision the upward dimension is no less important and expressive than the depth. The silhouette of the starry sky is key to the patterning of the whole; the poetic idea of the work - the double illumination and contrast of the cafe and the night sky - is developed through this jagged form. In the silhouette of the orange cafe floor and the adjoining window and doors, we discover the inverted shape of the blue sky; the scattered disks of the stars are matched in the elliptical tabletops below. 10 Facts That You Don't Know About "Café Terrace at Night"
1. 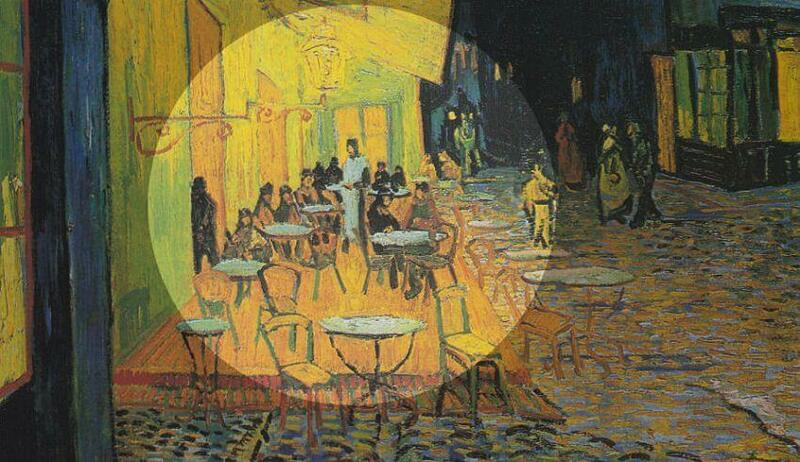 In a scholarly treatment of "Café Terrace at Night," which Jared Baxter submitted to the 2013 European Conference on Arts & Humanities, the writer suggests Van Gogh's painting contains allusions to The Last Supper by Da Vinci. 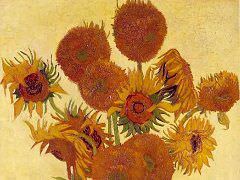 Indeed, a close study of the painting reveals that the main characters include one central figure with long hair surrounded by 12 individuals, plus a cross shines in the background of the composition, and Van Gogh has included additional cross-like shapes throughout the artwork. A shadowy figure slipping through the doorway may symbolize Judas. 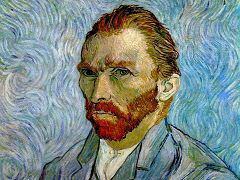 A religious allusion wouldn't be too out of character for Van Gogh. 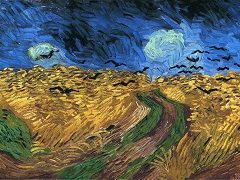 Before devoting his attention to painting, the famous Dutch artist had wished to "preach the gospel everywhere," and his father, Theodorus van Gogh, was a pastor for a Dutch Reformed church. 2. 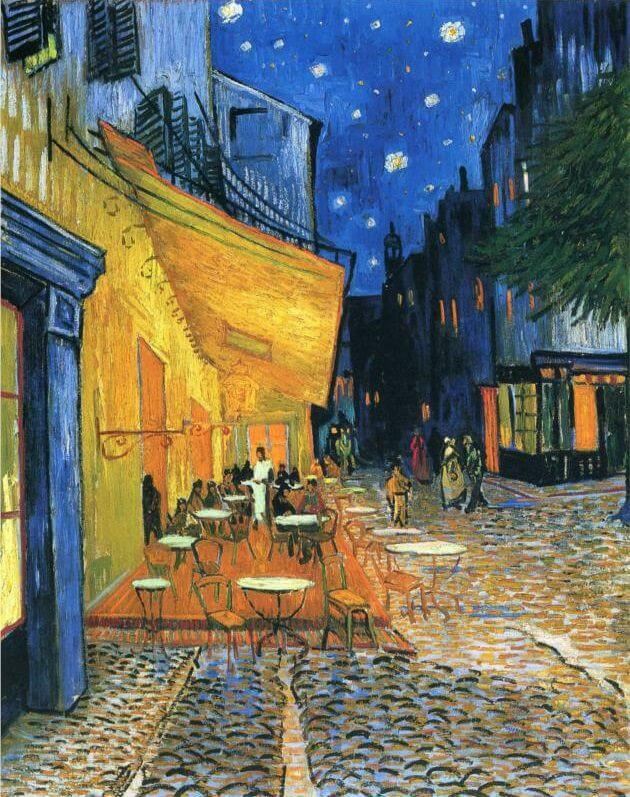 Van Gogh never signed "Café Terrace at Night." However, he specifically mentioned the painting in three pieces of correspondence, so art historians are confident that he painted it. 3. The painting has three separate titles. At its first public exhibit in 1891, the work bore the title "Café, le soir," or Coffeehouse at Evening. 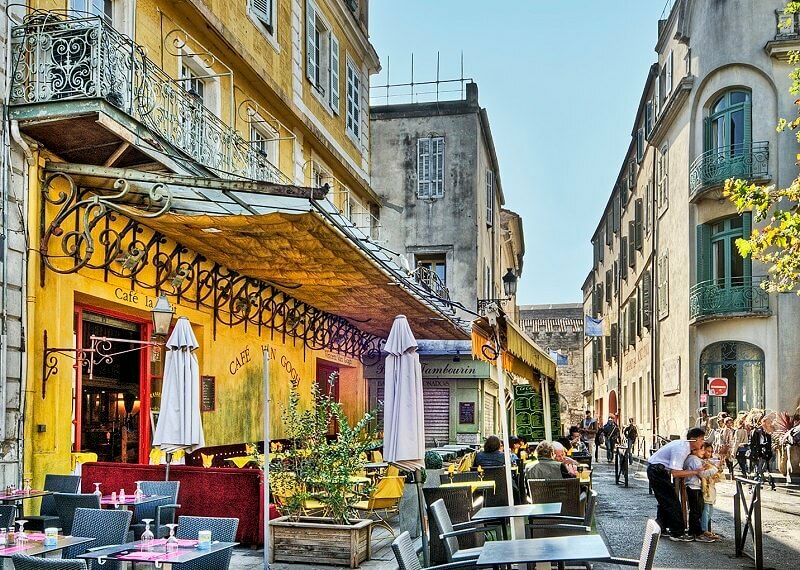 Another name it goes by is "Café Terrace on the Place du Forum." 4. Van Gogh's iconic Post-Impressionistic star-filled sky appears for the first time in his "Café Terrace at Night." 5. "Café Terrace at Night" is one of three Arles paintings that feature Van Gogh's distinctive star-filled sky. Starry Night Over the Rhone and Starry Night complete the trilogy. 6. Although a night scene, the painting is devoid of the color black. 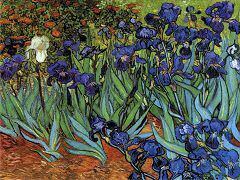 Vincent states in a letter to his sister that, to him, the night is richer in color than day. 7. 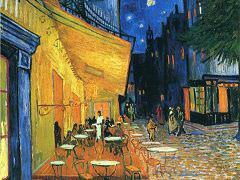 Vincent painted the café terrace scene on location rather than from memory. 8. 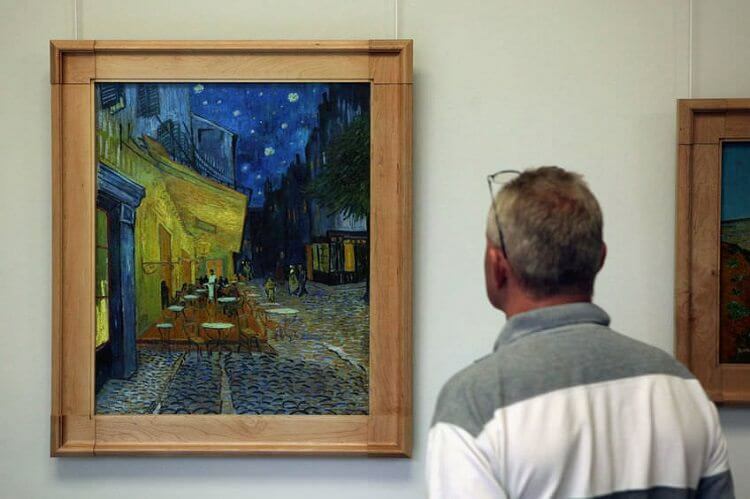 The café in the painting is still in existence, renamed the Café Van Gogh. 9. "Café Terrace at Night" ranks second in a list of the top ten most reproduced artworks from 2000 to 2010. 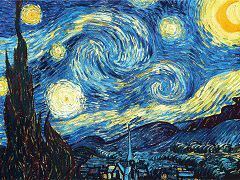 Van Gogh's "Starry Night" holds first place. 10. The positions of the stars in the night sky of "Café Terrace at Night" is accurate, according to astronomical data.